For use when an extra layer of "skin" is needed for protection. Reusable poly bag contains a 1/2 oz. bottle with applicator brush, cotton and patches. The perfect "liquid bandage" that's waterproof, fast drying and transparent . How many patches per kit? Hello Jon! This item has approximately 50 patches included in it. 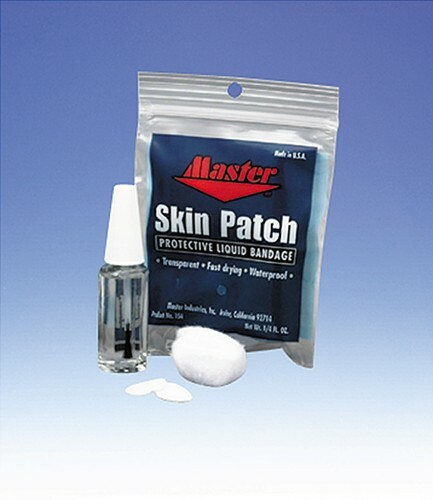 Due to the time it takes to produce the Master Skin Patch ball it will ship in immediately. We cannot ship this ball outside the United States.